Arnold Choi has performed to great acclaim throughoutNorth America, Europe and Asia. A prizewinner at Korea’s Gyeongnam (Isang Yun) International Music Competition, Mr. Choi also won first prize at the Pasadena Showcase Instrumental Competition, the Kingsville International String Competition, the Canadian National Music Festival and the Montreal Symphony Orchestra Competition. In the summer of 2008, Mr. Choi received the grand prize at the International Stepping Stone competition in Quebec City, and in 2012 received second place at the Carlos Prieto International cello competition in Morelia, Mexico. Mr. Choi has performed as soloist with numerous orchestras around the world including the Montreal Symphony Orchestra, Edmonton Symphony, the Okanagan Symphony, Calgary Civic Symphony, the Calgary Philharmonic, the Quebec Symphony Orchestra, the Shanghai Opera House Orchestra and the Schleswig-Holstein Festival Orchestra. At the age of 14, he gave his first solo recital tour in Mexico. In 2011 Arnold and pianist Wonny Song gave a fourteen-concert recital tour in Canada sponsored by Jeunesse Musicale. Most recently in November 2012 Arnold gave three performances of the Elgar Concerto with the Okanagan Symphony. A versatile performer, Mr. Choi remains active in all fields of classical music as a soloist, orchestral and chamber musician. In the summer of 2005 he acted as Principal Cellist of the Schleswig- Holstein Festival Orchestra during their tour of Japan and Germany, and was principal cellist of the Banff Festival Orchestra, and the Yale Philharmonia. Mr. Choi studied with John Kadz at the Mount Royal College Conservatory in Calgary for twelve years before receiving his Bachelor of Music degree from the Colburn Conservatory in Los Angeles with Ronald Leonard in 2009. He earned a Master of Music degree and Artist Diploma from the Yale school of Music studying with Aldo Parisot. Mr. Choi currently plays the 1696 “Bonjour” Antonio Stradivari cello generously on loan to him from the Canada Council for the ArtsMusical Instrument Bank. 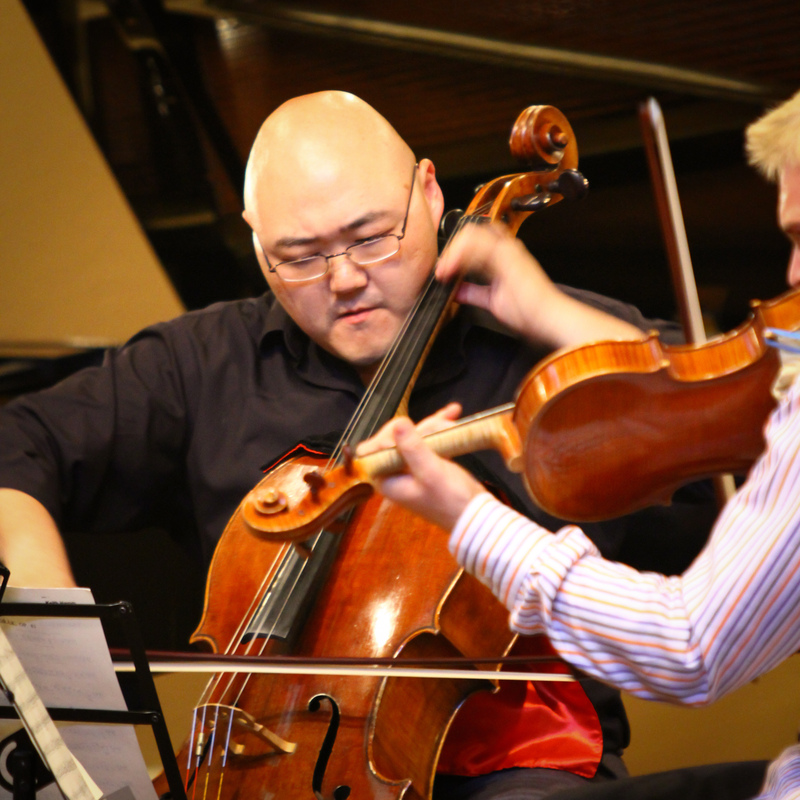 Thanks for finally talking about >Arnold Choi | The Rosebud Chamber Music Festival <Loved it! other blogs in google’s search results. You deserve to be in top-10.